TELEGRAPH - The anti-capitalist protesters who occupied St Paul’s Cathedral were both morally and intellectually right in its attack on the international financial system, said senior Bank of England official Andrew Haldane. The movement’s “tent city” occupied the grounds of St Paul’s for more than three months. 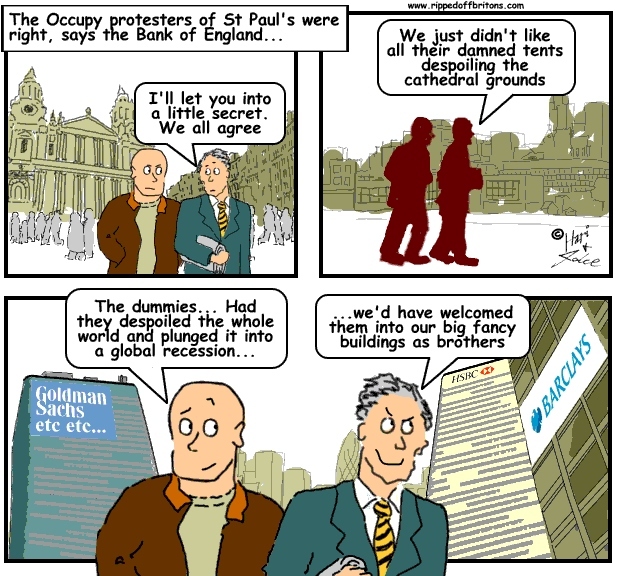 The protest ended after the Corporation of London, home to the UK’s major banks, had them evicted, claiming that the protesters were despoiling the cathedral’s grounds.